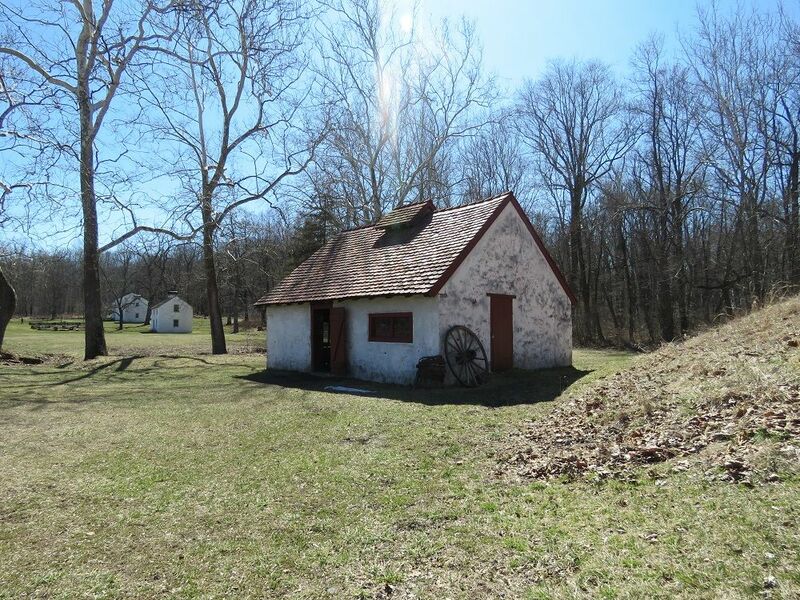 On the opening day of trout fishing season, March 31, 2018, we headed up to French Creek State Park to fish in Scotts Run Lake, and we visited nearby Hopewell Furnace NHS while we were there. It was the first time we had been to either park, and we were excited to explore a little on our first adventure of 2018. 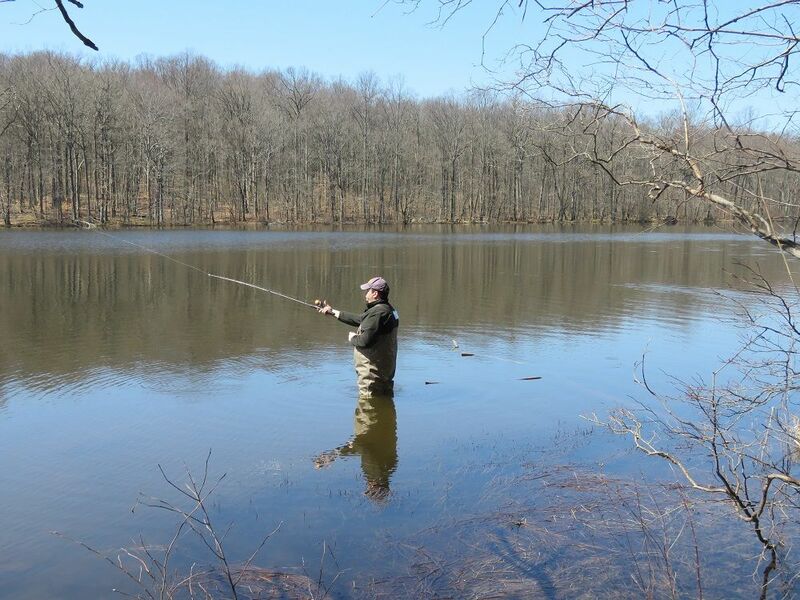 We have taken part in the opening day madness of trout fishing in southeastern Pennsylvania for the past few years, but we haven’t had much luck actually catching fish. Fishing opens two weeks ahead of the rest of Pennsylvania here due to the fact that the weather is usually nicer sooner in this part of the state. 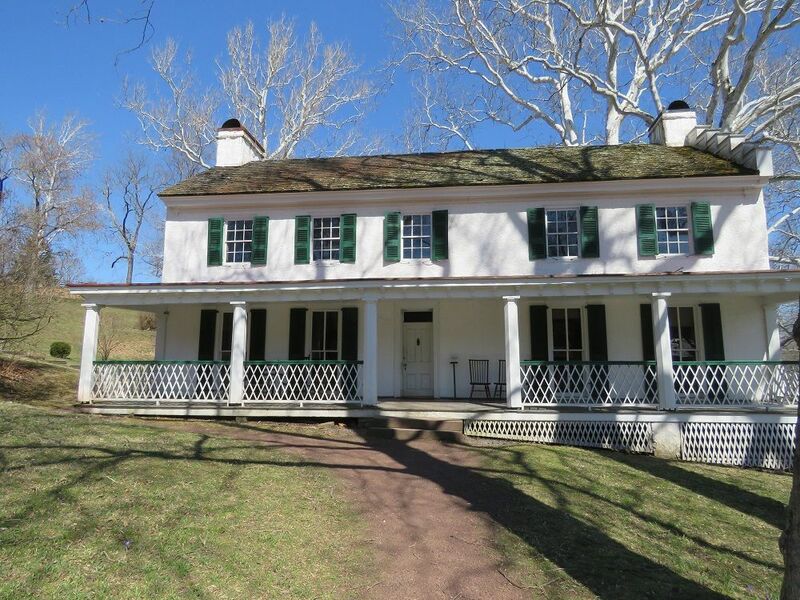 In the past, we have fished Wissahickon Creek, Pennypack Creek and Tohickon Creek. But we decided that we were going to try our luck this year on one of the Philadelphia’s nearby stocked trout lakes. 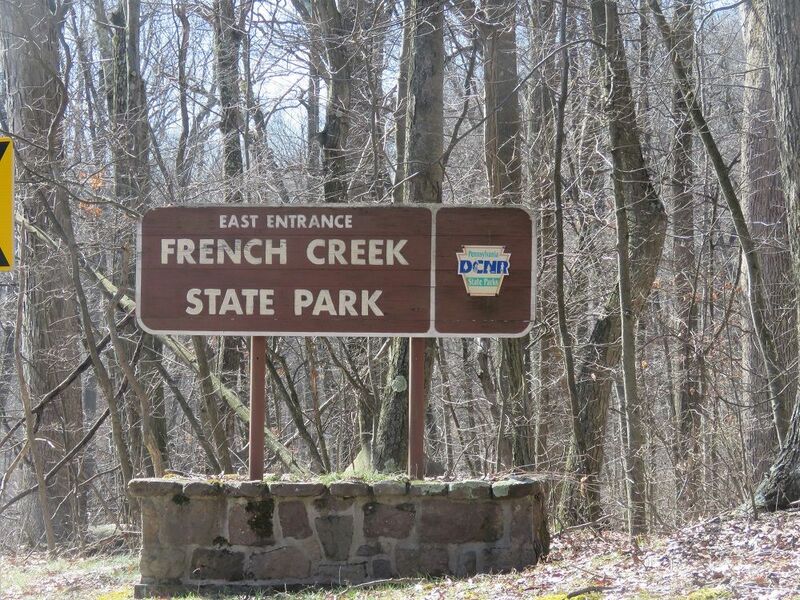 After looking at our options, we settled on Scotts Run Lake in French Creek State Park. It was definitely a popular choice among other anglers. We came from the direction of 422 and Douglasville, so we entered via Shed Road to the East Entrance of the State Park. We passed the campground and quickly found the entrance to Scotts Run, which had cars parked along the loop road leading down the lake – there were a lot of people excited for the start of fishing season! We found a spot just past the vault toilets and walked around a little to see the lake and scope out a good spot to fish from. There were people of all ages fishing from around the shore, across the dam, and from canoes and kayaks all across the lake. We decided on a spot, Rob put on his waders, and we made our way down to the shore and cast out. We had seen a few people on our walk with fish on their stringers, but they eluded us today, despite seeing them quite a few times as we were fishing. We actually did have one bite right after we got there, but it managed to free itself before we landed it. A fish was landed to our left, as well as to our right, but we were not that lucky. Still, it was nice to be out on the lake, the weather was sunny and mid-50s so it was pleasant sweater weather, and hey, it was the start of fishing season! We spent a couple hours on the lake before heading back to the car and driving the short distance over to Hopewell Furnace to make some sandwiches (there is a nice area with picnic tables at Scotts Run Lake, but we wanted to keep moving). 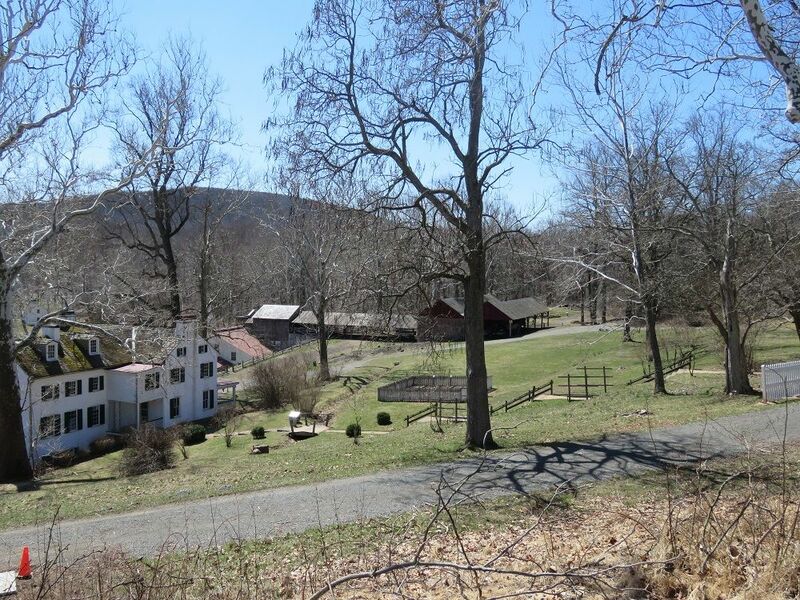 There is an orchard on either side as you drive in, and a picnic area on one side of the parking lot up on the hill. We sat on a bench overlooking everything, wondering what was below waiting for us to explore, eating our sandwiches and recharging before the next leg of our adventure. 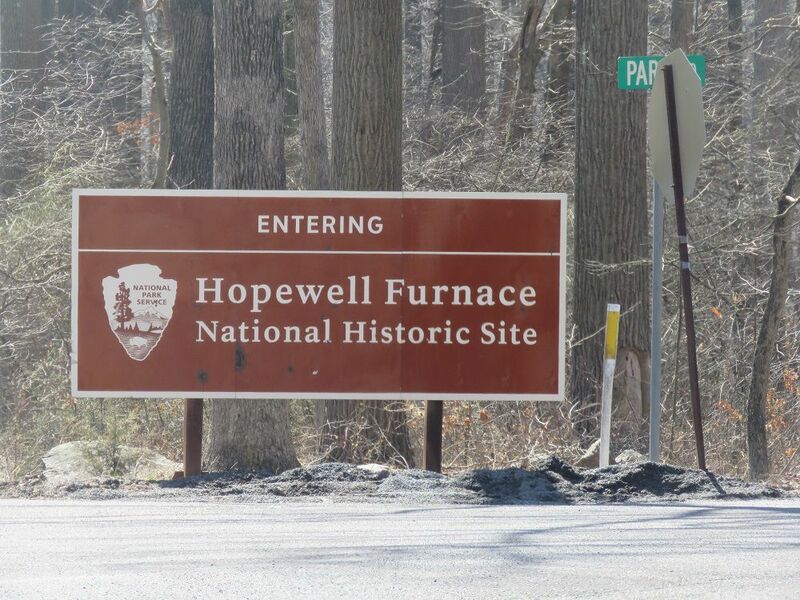 Hopewell Furnace National Historic Site is an intact example of the iron plantations that helped transform the United States into an industrial giant. 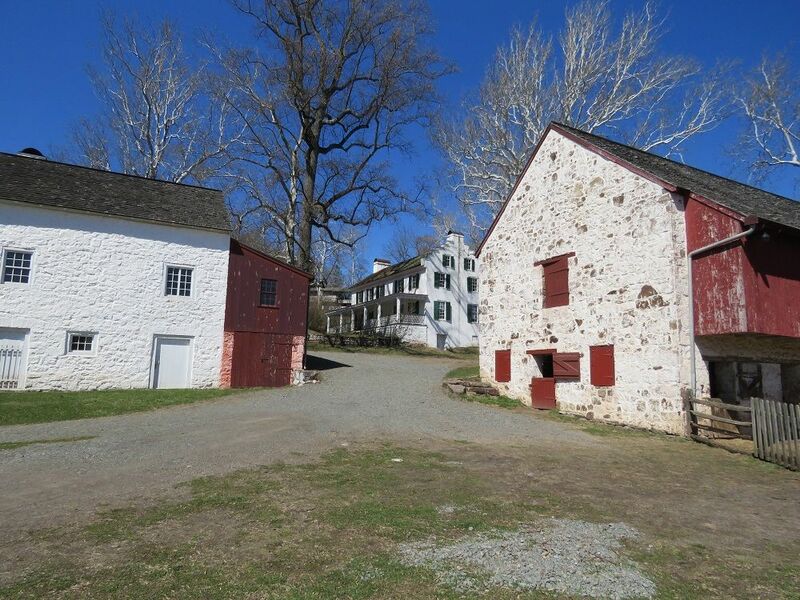 The park protects 848 acres including the historic structures and surrounding land. We headed into the visitor’s center, which was pretty typical of what we have seen at other NPS sites, with a desk for the rangers, a small gift shop, an auditorium, and a small museum. There were a few options for informative videos, with four short films being exhibited on a screen in the museum and one longer video in the auditorium. We explored, talking to the rangers, reading the exhibits and watching the videos, before heading down the path from the visitor center to the historical buildings. We followed the numbers self-tour on the map/guide book, first exploring the arythricite furnace, then moving to the charcoal (making site), which we knew from the videos inside was the main way of making iron ore at the site, as well as the last location of charcoal made in this manner in the United States (it ran until 1883, when the entire operation was closed). On this site, colliers tended about 8 charcoal (pits) around the clock, carefully turning up to 6000 cords of wood a year into the charcoal needed at the furnace. Making charcoal was a delicate practice, one that involved carefully stoking the (pits) to ensure the flames were at the correct level, before carefully extracting the charcoal from the pile. It was then transferred over to a cooling shed before being shuttled, one cartload at a time, over to the cold-air (pit thing) where it was added to iron ore and limestone. It was really interesting to learn about the water wheel, which helped generate power at this site for to force air, through bellows, into the furnace to help the heat rise to about 3000°F and ensure the iron was melted properly. There are three types of water wheels, and this one was called a “breast” wheel, which means the water comes in halfway up on the side of the wheel and flows downward, pushing the wheel away from that point (other water wheels have water pushing from the top or from the bottom). It pushed two bellows, each inside enormous wooden barrels, up and down to generate air, which was piped in near the bottom of the furnace. As the molten iron came out the bottom of the furnace, an employee would scoop it up and either pour it into molds on the ground to make pig iron, or it would be carefully poured by artisans into a number of molds to create cooking tools such as cast iron pots and skillets, bigger pieces such as stoves, and other specialty pieces. There were several examples of Hopewell Stoves around the museum and in the Big House where the owner lived. Hopewell Stoves were known world-wide for their quality, and they were quite beautiful to look at, with intricate designs on the sides. They were available in a number of different sizes, and stoves like this made it easier to run a household, because instead of carefully tending a fire for all the cooking that needed to be done, a smaller fire was maintained inside the stove, and food could be cooked on a shelf inside or on top. There was also a blacksmith shop on site, which was important for an industry that relied so heavily on transporting heavy items (such as bulk loads of charcoal, iron ore, and iron products) via horses. The blacksmith would have made pieces for the wagons, such as wheels and bridles (?) as well as horseshoes and other items. The video in the visitor’s center helped to bring the blacksmith’s shop to live, showing how an anvil was utilized to shape different pieces, and the process used. Many of the workers lived on site, either in tenant houses they rented from the owner for $15-25 a year, or for a few single workers, living on the top floor of the “Big House” where the owner lived. Other employees, like miners, would have lived closer to the mines, with their families. There was also a company store onsite, where employees could shop for food and other household goods without heading into town. The shop functioned as a bank, with the worker’s wages tracked there for use in the store or to withdraw as cash to use in town or elsewhere. Memorial Day at Evansburg State Park →← We saw a Snowy Owl outside Sault Ste. Marie in Michigan!